I remember telling you not to throw your bones from your meat away. Whether it be from a roasted turkey, chicken, baked ham, or a roast of beef. Here is the reason why. 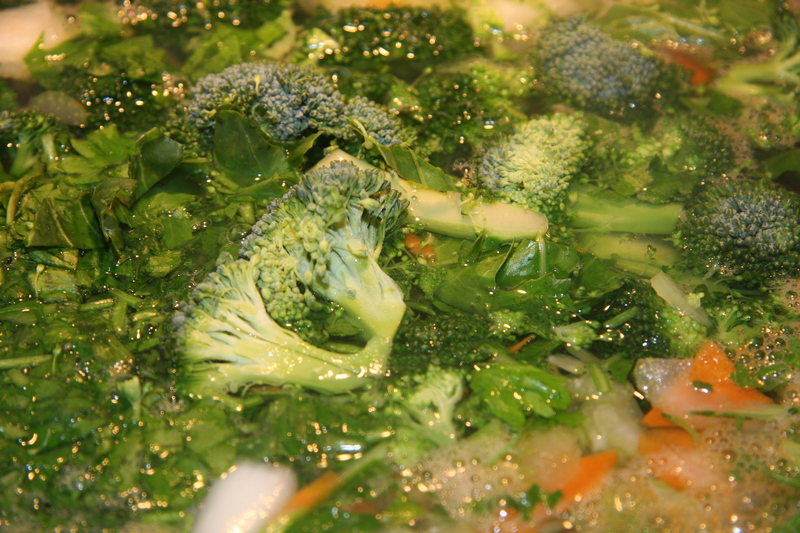 They make terrific soup with loads of health benefits and flavor. 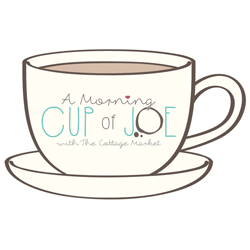 On a cold snowy day like the one we are having today, this will warm you up and make you feel satisfied. Of course soup is not just for snowy days but good for you on any kind of day. If I don’t have the bones in my freezer or I am running low I take a trip to my butcher or the grocery store and purchase some. Great to have on hand in the freezer. 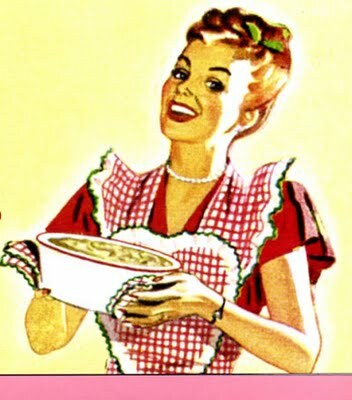 Soup is the easiest thing in the world to make. Just open up your fridge create your own and within a couple of hours you have a super meal. So get started. 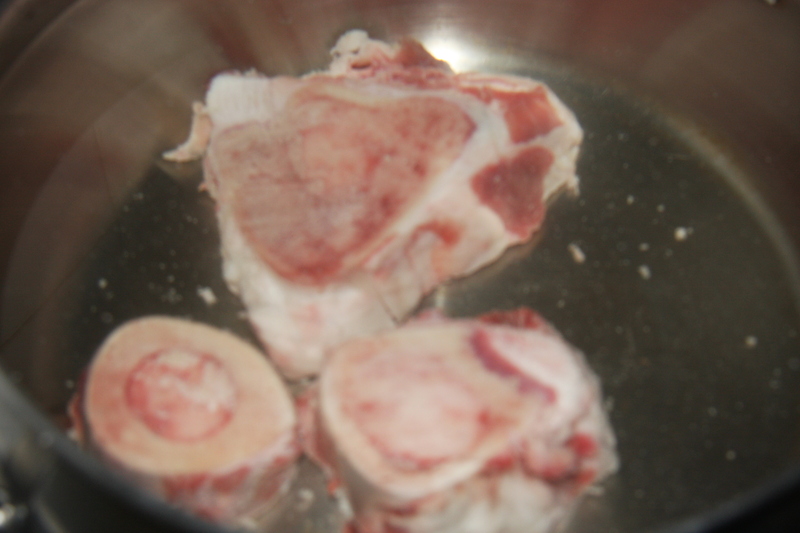 Place your bones into a stockpot and fill with water. My stockpot usually holds about 6 liters. Bring it to a boil, while skimming off the scum that forms on top. This step will usually take about 15 minutes. It does have to be repeated each time your scum forms. 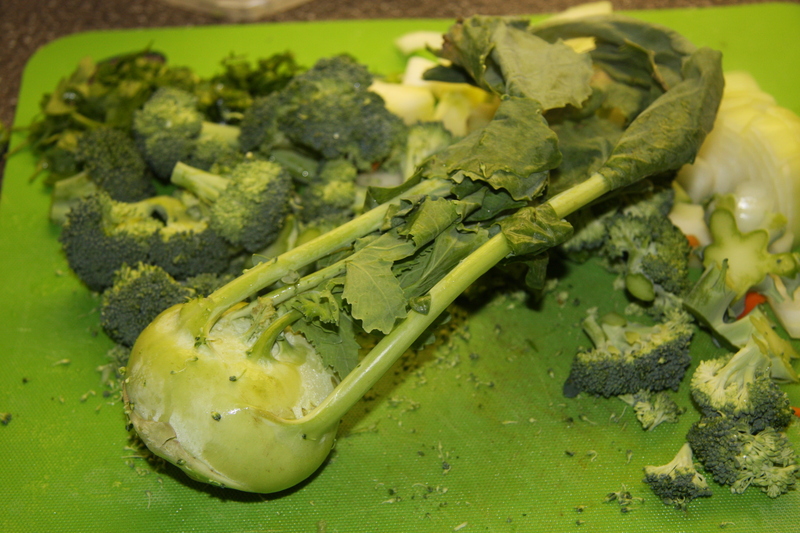 While the bones are cooking, wash, peel and chop 1 stalk of broccoli along with the tops. You can also peel and cube a bulb of kohlrabi and its greens. This is totally optional. I like to put it in some soups for an added veggie. While in Europe visiting family I had the opportunity to learn how to cook like they do. My aunt always put kohlrabi in her soups. So occasionally I do to. 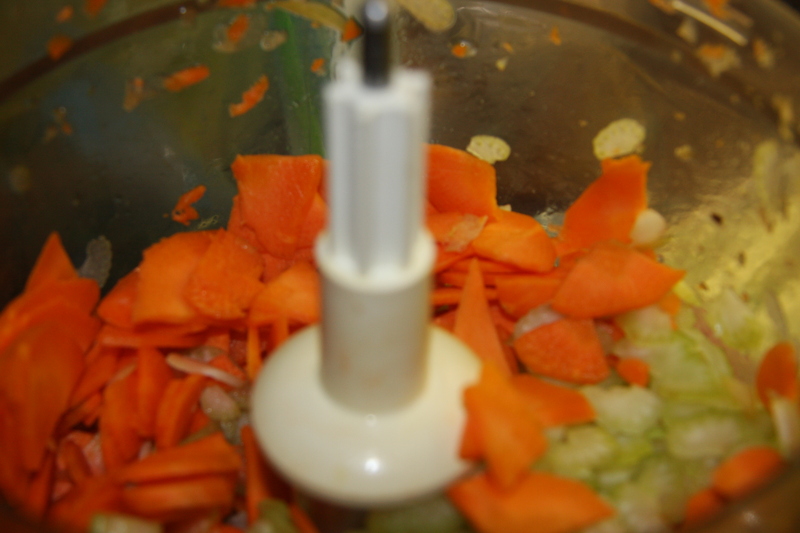 Add 1 large sliced carrot, 3 stalks of sliced celery and one chopped onion. I at times use my food processor to do these tasks. It’s a lot quicker. 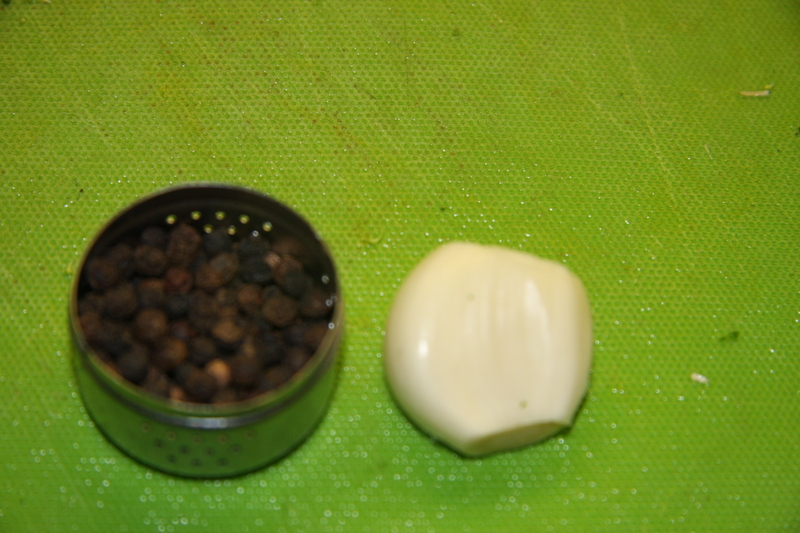 Place peppercorns into a tea leaf holder, along with 1 or 2 garlic cloves. Put on lid. 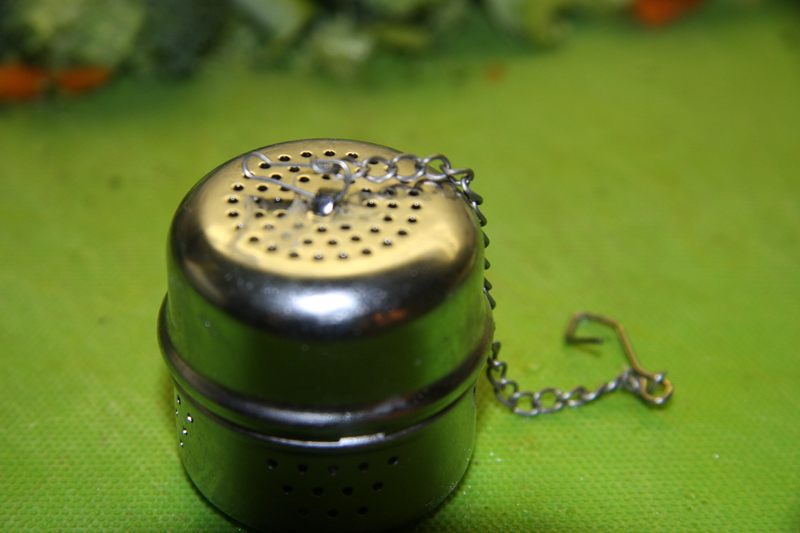 This step prevents the peppercorns from getting into every bit when eating your soup. I usually eyeball things like this but to let you know how much I added I measured the dried soup mix. I added 1/2 cup. 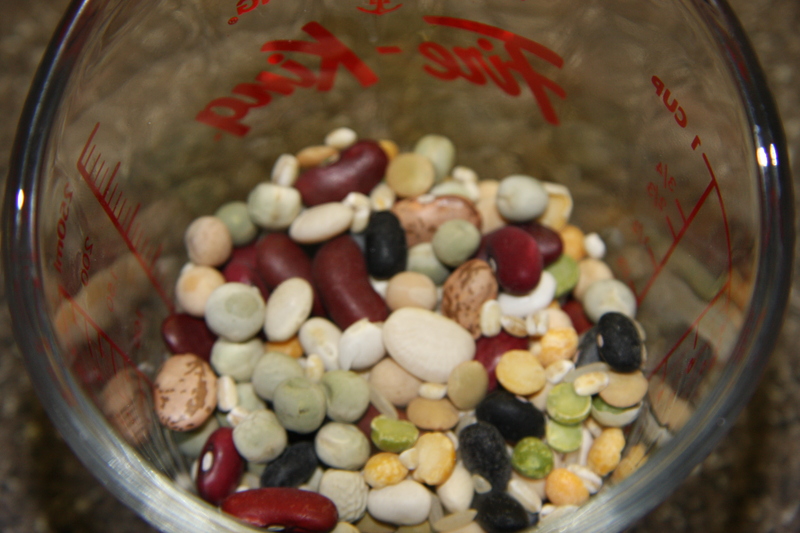 It is not necessary to soak the soup mix but you can. Add all the above to the bones that should have already stopped forming scum. Add salt and pepper with 2 bay leaves and 1/4 cup chopped parsley. Bring to a boil again then reduce heat to simmer for approximately 3 hours. The one extra step I did here, was I added 16 meatballs. I find that if I purchase and have some in the freezer they come in handy for dishes like this. Or there are times I get ambitious and make my own. During this cooking process you can also adjust the amount of salt you would like. 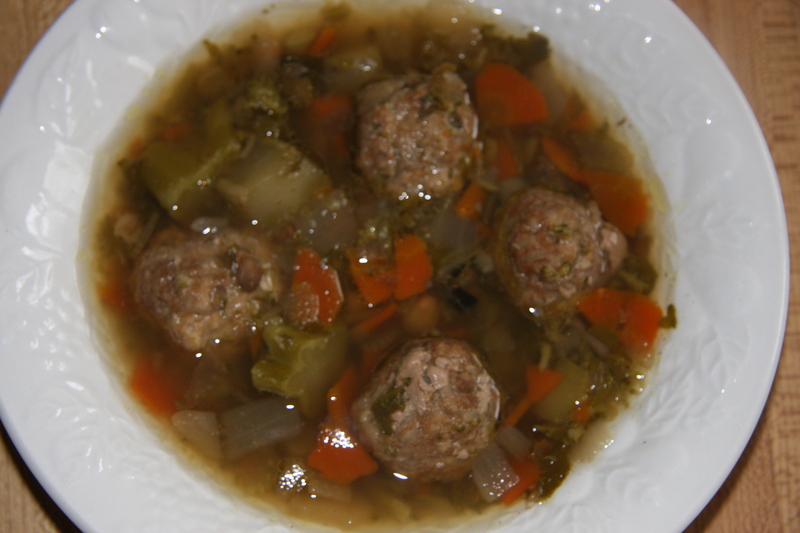 Served with your favorite salad and crusty bread you have a wonderful and simple meal. 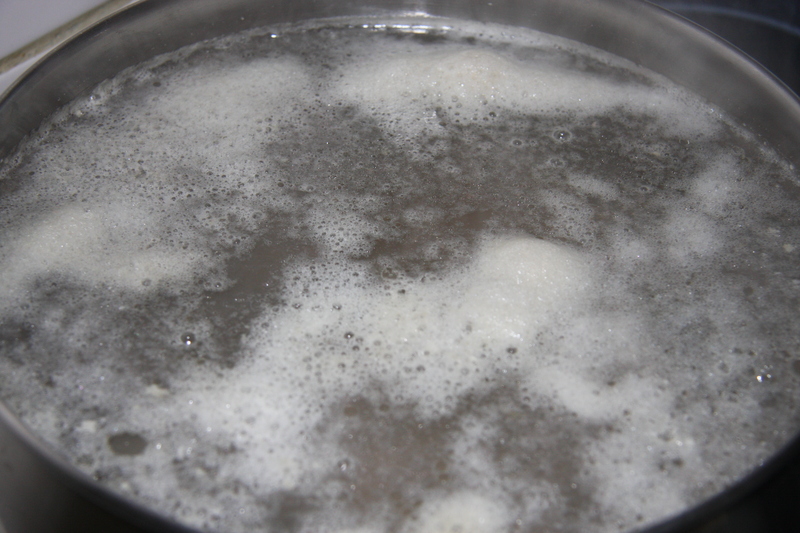 Place beef bones into a stockpot add approximately 6 liters of water. Bring to a boil while removing the scum. This process usually takes about 15 minutes. You will have to repeat it. When it has all been removed, add all the other ingredients. Partially cover and bring to a boil again. Reduce heat and simmer for 3 hours.